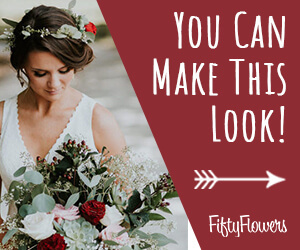 Inserting cymbidium orchids into the bridal bouquet is the next step of this tutorial. 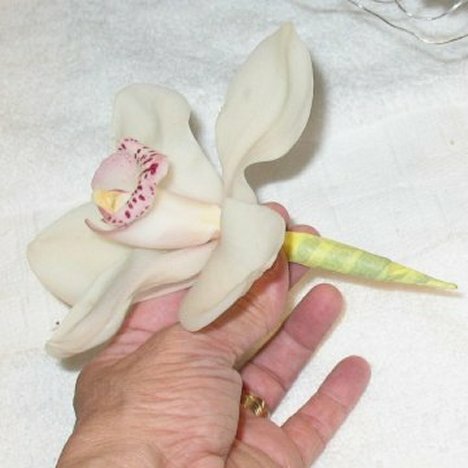 I've already lengthened the stems by attaching them to flower picks. 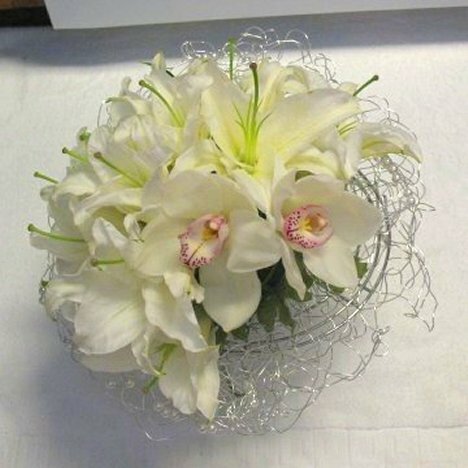 I'm putting the orchids in the lower right of the bridal bouquet. 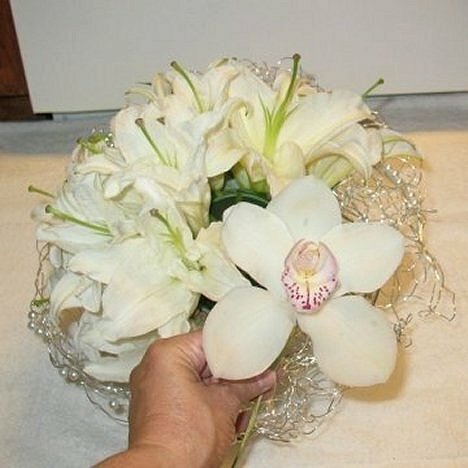 Cluster the orchids close together like you did with the Casa Blanca lilies. You don't want any of the mechanics, like the green foam, showing once all the flowers are in. 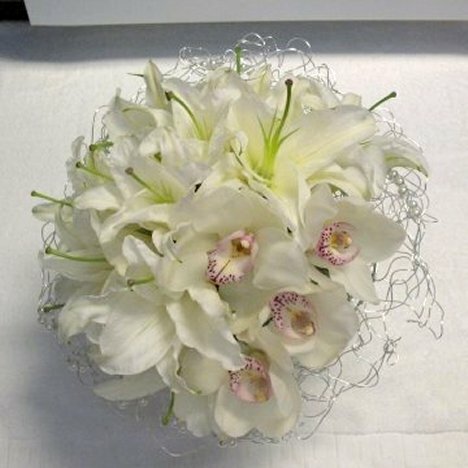 I've left some space open on the right side of the bouquet to insert my Nerine lilies in the next step.